With warehouse sites based around the East Midlands and located conveniently near the M1, Merritt Storage Solutions is perfectly placed to service the needs of clients requiring both short and long term industrial storage. 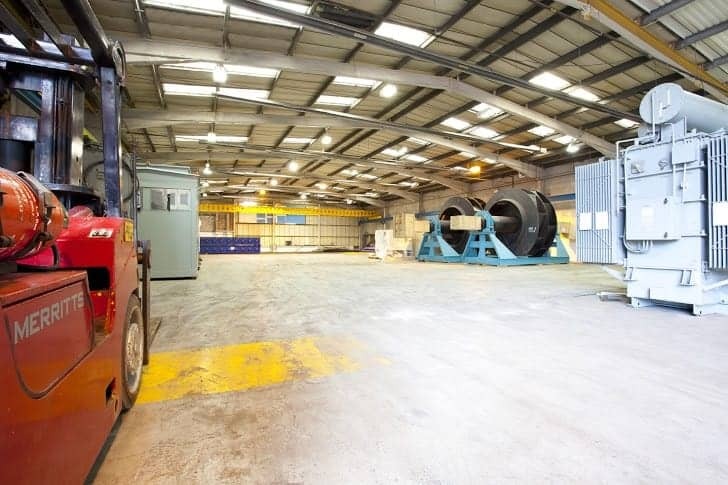 Industrial storage rates start from £0.10 per square foot per week (£1.09 per square metre per week), which is inclusive of buildings insurance, rates, light, heat and power in the area dependent on use. We are able to provide insurance for the transport of equipment into stores, the offloading and handling and then insurance to store goods whilst in our facility. We provide the best industrial storage Nottingham has to offer. Many of our industrial storage warehouses have overhead craneage for the handling of stored goods up to 20Te in weight. Additionally, we have the in house capability to handle heavy loads up to 200Te in weight if required. Our sites are enclosed by 2.4m palisade fencing and are all equipped with state of the art security solutions enabling us to provide storage for high value goods. We currently have 250,000sqft (23,225sqm) of internal storage space available for immediate occupation complimented by 80,000sqft (7,350sqm) of external storage space for items that are not weather sensitive. Our warehouses are all heated, fitted with high and low bay lighting and offer eaves heights of up to 10m if required for tall items. All Merritts’ warehouses are controlled by a warehouse manager and dedicated admin team. These teams are responsible for all logistical arrangements relating to the stored goods and for ensuring that all goods remain in good order. Machines were collected from designated stores by Merritts and were then logged in to one of our warehouses via our fully integrated computerised management system. Here we created a full condition report of the machines entailing the production of a photographic stock list detailing all printing machinery along with its ancillary equipment.